You need a customized East India itinerary based on your tastes. Let us build you the perfect one. A tour through East India takes you through a dramatically varied landscape: mangroves in the Sundarbans and lofty peaks in the high Himalayas. 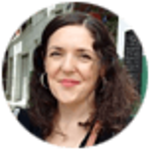 Most tours begin in Kolkata, once the capital of the British Empire, where bustling B.B.D. Bagh brims with declining 19th-century colonial architecture. Moss-covered headstones in South Park Street cemetery, the Paresnath Jain temple, the Armenian Church, all tell stories of the multi-cultural influences that have shaped this city over millennia. Sail the Hooghly at dawn to visit temples upriver, and end the day with a typical Bengali meal. Bengalis are obsessed with food, and Kolkata, for all its shortcomings, is a foodie’s paradise. Don’t leave without sharing in the bounty of Bengali cuisine and conversation. Around the hill station of Darjeeling, large estates grow some of the world’s most coveted tea. Sip on a cup of pure Darjeeling first flush, amidst mist-covered tea gardens in a colonial ambience. The sound of chanting Buddhist monks fills the air in Pelling, Sikkim. Gardens burst with orchids and forests teem with rhododendron. 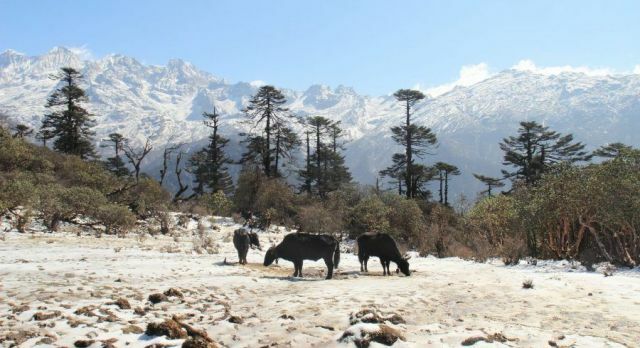 Around every corner of the state, you’ll come to arresting views of snow-capped ranges and the striking five-peaked Mount Kanchenjunga. Further east, in Assam’s Kaziranga National Park, one-horned rhinos graze languidly, and otters swim energetically in the muddy rivers flowing by. Assam is part of the seven northeastern states affectionately called the Seven Sisters. Unique wildlife like hoolock gibbons and great hornbills inhabit this land of exceptional natural beauty, starring dramatic waterfalls and hidden caves. It is also an ethnically diverse region, where indigenous tribes like the Angami Nagas and Bodos reside. When the choices are so overwhelming, how do you pick what to see of East India in the time you have? Our India specialists will hand-hold you through the process, and cut a personalized itinerary that fits you best. The best travel time for East India travel is during the months of September / October to March. Follow this link for an overview on the best time to travel. Charming colonial towns, verdant tea plantations, misty mountains and unique cultural delights – discover all this and more on your East India tours. Follow this link to read about the top things to do in East India. East India has housed many great educational centers over the centuries, including the famous Nalanda University which was located near Patna. Bengali is the dominant language of West Bengal, Oriya is spoken in Orissa, Assamese which is closely related to Bengali is commonly spoken in Assam while the Biharis speak Bhojpuri and the Sikkimese Nepali. The majority of the population is a mixture of Hindus and Muslims, with a smattering of Christians, Buddhists and Sikh minorities. In this region, most Hindus worship the revered deities Shiva, Durga, and Kali. Bengal: Dakshineswar and Kalighat temples. Bodhgaya: sacred to Buddhists and Hindus alike. 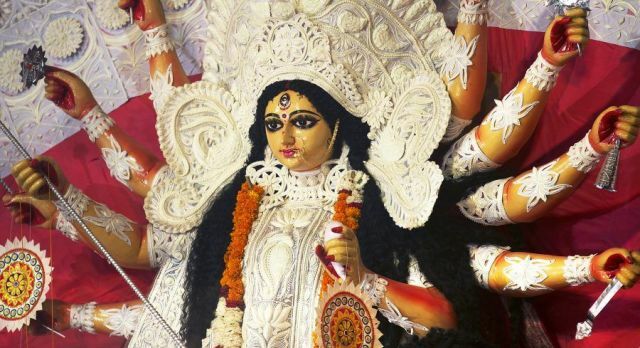 West Bengal is famous for the festival of Durga Puja, held around the time when Navratri celebrations take place in North India. Our tailor-made East India tours will take you to Kolkata – touted as the Cultural Capital of India as well as the City of Joy. An eclectic mixture of colonial conventions and urban living, Kolkata has plenty of gentlemen’s clubs, a race course, vintage cars rallies, malls, business centers and nightlife. Patna, on the other hand, is a chaotic, bustling city and the center of Bihar’s economy. The Easterners are well-known for their art and cultural pursuits – most Bengalis are aspiring singers and the government of West Bengal has decreed that Rabindrasangeet – Bengali music by Rabindranath Tagore, be played at all traffic signals! The region also has a dominant folk music and art culture, for which the bauls and fakirs from rural areas are mainly responsible. Odisha is famous for an ancient form of classical dance – Odissi. Assamese culture is rich in symbolism, and festivals, dance, music, and drama are important aspects of the culture. The region also boasts some wonderful cricket teams, football clubs, some of Asia’s most beautiful golf courses, polo, rowing and tennis clubs. Top East India Tours Tip – Culture: Home to majestic mountains of the southern Himalayan range, Sikkim offers much peace and solitude away from the urban centers. It is no surprise that the states of Eastern India, which are located on the fertile Gangetic delta, produce and consume a whole lot of rice. Vegetables and fruits grow here in abundance and the area contains a healthy balance of vegetarians and non-vegetarians. In Bengal and Odisha, which lie near water bodies, fish is a staple. Bihari cuisine is known for some delicious meat-based dishes while Sikkim and Assam bears traces of Tibetan and Chinese influence. Bengali cuisine has many takers in the neighboring states of Bihar, Odisha, Sikkim and Assam, given the large population of Bengalis in these areas. Lentils and vegetables are a staple part of a Bengali meal, which is rounded off with fish and even meat. The flavors are generally subtle although some dishes can be rather spicy! The food here is served in courses, according to French eating traditions, rather than all together. Food in Bengal also bears traces of pan-Asian and pan-Indian influence. At the Chinese settlement called Tangra in Kolkata, delicious Indianised-Chinese food awaits you, while the back alleys of Esplanade offer scrumptious Mughal cuisine. Bengal is also famous for the myriad variety of sweet treats as well as for the ubiquitous flavored betel leaf, which is also popular in Assam. Few people in Odisha are vegetarian and fish and crab meat is a rather important part of the diet. Locally available ingredients are most important when it comes to Oriya cuisine, which is delicately flavored, unlike regular Indian fare. Oriyas are known to have a sweet tooth and no meal is complete without a generous helping of dessert. Balushahi: special maida (flour) combined with ghee and sugar in Bihar. Chhena Gaja: chhena (cottage cheese) mixed with semolina and fried in a sugary syrup in Odisha. Poita Bhat: cooked rice soaked overnight and garnished with pickles, mustard oil, onion and chilli in Assam. Luchi: deep fried fluffy bread, served with vegetables or curry in West Bengal. Ilish Bhapa: fillet of hilsa (herring), steamed with mild spices and served in West Bengal. Gya thuk: noodle soup served with vegetables or meat in Sikkim. The Jagannath Temple of Puri in Odisha is reputedly the largest in the world, with over one thousand cooks. On one of our tailor-made India tours, do try the delicious bhog, or religious offering which is served to more than 10,000 people every day! 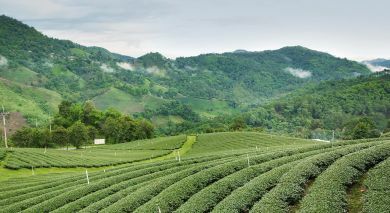 The tea plantations of Assam and Darjeeling, made into an industry by the colonial British East India Company, has influenced and continues to support tea drinking habits across the world. Enjoy a cup at its source – there’s nothing like a freshly plucked brew! We look forward to welcoming you during your private and tailor-made East India tours. East India includes the beautiful states of Assam, Sikkim, West Bengal, Odisha and Jharkhand. Calcutta, renamed Kolkata in 2001, is undoubtedly the largest city in the region. For centuries, this fertile deltaic region has seen the rise and fall of many dynasties, including the famous Nanda, Kalinga and the Pala dynasties. The powerful Magadha and Maurya dynasties dominated the East for a while and received many visitors including the revered Buddha. In Bengal, literature and the arts flourished. Eventually, the region succumbed to Mughal Emperor Akbar, who ushered in a prosperous time. European traders took over various parts of the country in the 17th century. It was popularly believed that Job Charnock, an employee of the British East India Company, established the city of Calcutta in 1686. The first mutiny against British rule started in East India in 1857 and signalled the beginning of the struggle for Indian independence. The Indian National Congress was founded in Calcutta and great poets such as Rabindranath Tagore championed the Indian cause. Many years and much violence later, India became independent in 1947. Bengal was divided into West Bengal, where the Hindus were to reside, and East Pakistan where the Muslim fled. During the next few decades, as East Pakistan struggled for independence and finally became Bangladesh, hundreds of thousands of refugees poured into eastern India. Today, after many years of economic, political and social struggle, the region is developing steadily. When Queen Victoria became the Empress of India, Calcutta was declared the capital of the British Raj. On one of our private India tours, see the Victoria Memorial – a major archaeological attraction of Kolkata, which stands as testimony to the Empress’s reign. The one-winged angel that stands on the top of the building is included in many of the region’s children’s stories.